It's official! 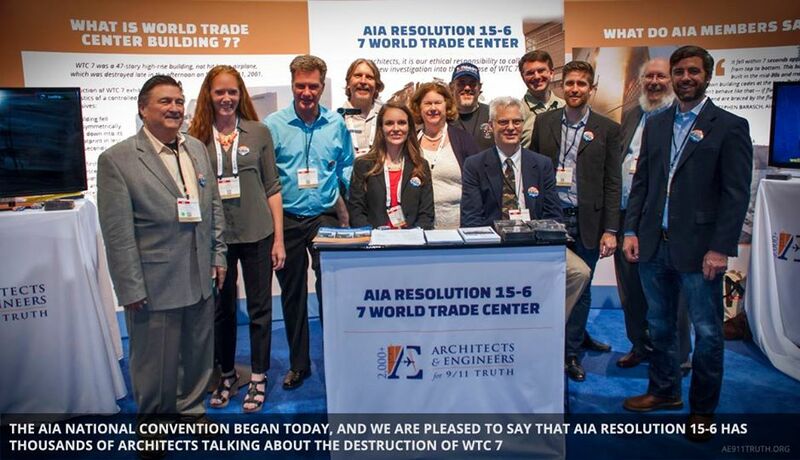 Over 1,500 Architects and Engineers demand a reinvestigation into 9/11! The infiltration on this video's top comments is very quick. I posted this same topic a few days ago. They are on top of their game on this video for some reason. Let's get em. Our earlier work has been sabotaged, we had around 30 thumbs up, and those comments are entitled "Spam"
"The highest rated comments have been rigged, obviously. This is the only Truth Video that's this popular, that I've seen with such obvious infiltration. and most likely it's because it has almost 350,000 views. Let's use our numbers and fix this rigging of the comments. THUMB DOWN the blatant discrediting. Disinformation < Truth"
The highest rated comments have been rigged, obviously. WOW GREAT JOB GUYS. The top 2 comments are now 20+ Thumbs each and tell the REAL truth. "Some people go to great lengths to inform others about AE911Truth. In the case of Will Domschot, of Auburn, California, we’re talking about CAR lengths. While getting his dune buggy ready for a series of three races in the Valley Off Road Racing Association (VORRA) on March 12th and 13th, he decided to use it to make a bold statement for 9/11 truth. With new decals and some help from the AE911Truth Graphics Team, he gave his car an AE911Truth theme. "I like the approach that AE911Truth uses to get at the truth with respectable, credentialed professionals" Domschot explained. “They're not pointing fingers. The evidence just doesn't support the official story."